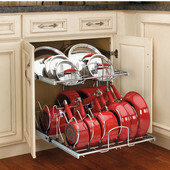 The hot new look of the Cucina Elegante Kitchen Carts by John Boos are sure to make your kitchen come alive. 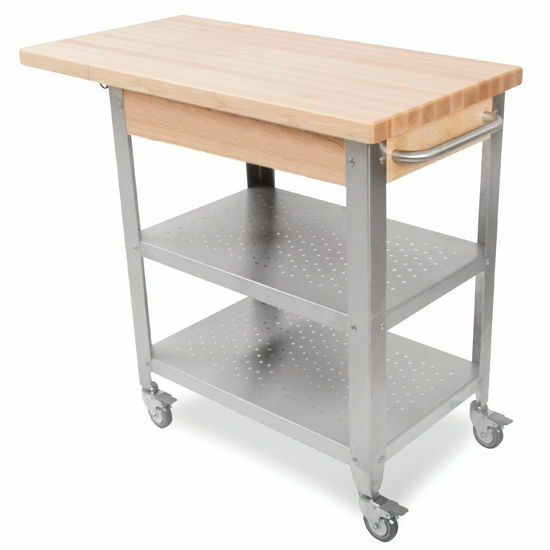 Made by the primary commercial producer of hard maple butcher blocks since 1887, these kitchen carts combine butcher block counter tops with food service grade stainless steel. 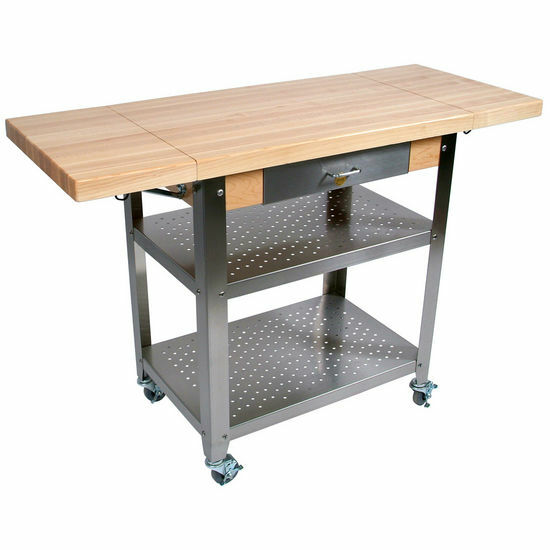 The 1-3/4 inch thick hard maple wood features an end grain work surface. 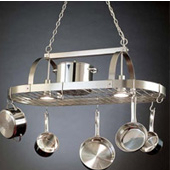 Two stainless steel shelves, one being reversible, efficiently store your gourmet cookware and kitchen accessories. 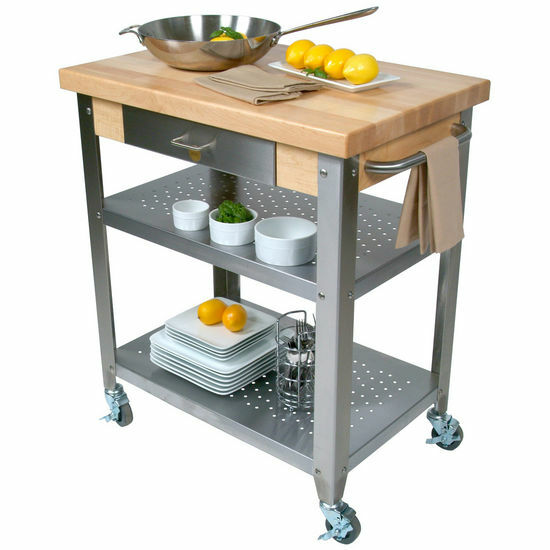 These elegant kitchen carts include optional stainless steel front dovetailed drawers for added storage. Optional 10" drop leaves give you even more room to work on when it is needed. 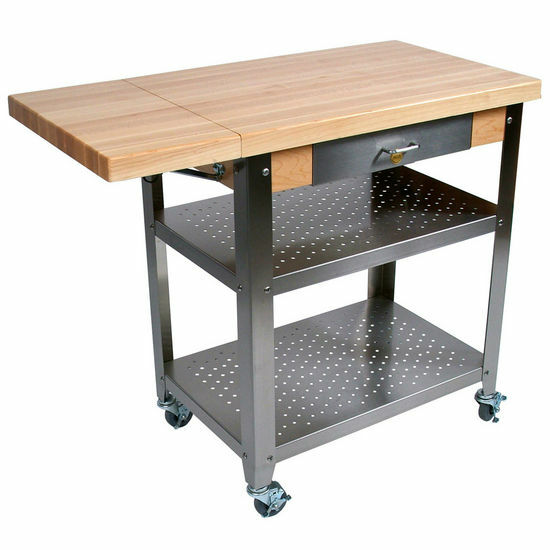 Sturdy stainless steel legs have 3 inch commercial grade locking casters. 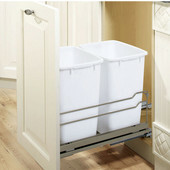 These John Boos Kitchen Carts are perfect pieces to add style and efficiency to any kitchen. We were worried that it would wobble or move around. Casters lock really well. Construction is solid and quality seems great. This cart is a workhorse! Hung my knives behind it and use it every day. It's convenient to roll out and has lockable wheels that keep it where you want it. There was a shipping dent in one shelf but customer service promptly replaced it. 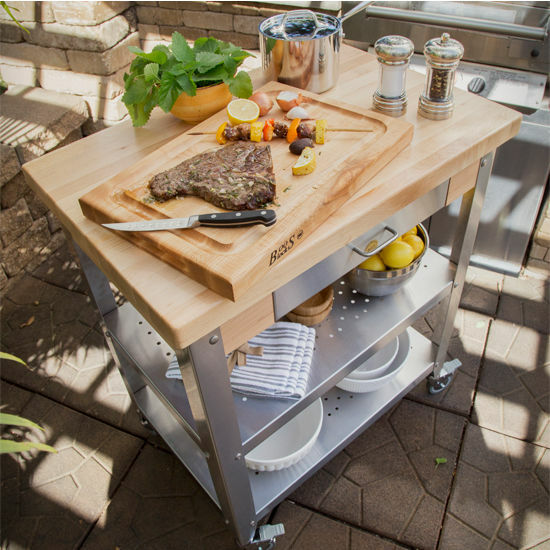 Just an awesome kitchen cart! I am thrilled with the J. Boos wood and stainless cart with the two leaves. The quality is super high end and the wood is beautiful. We easily assembled in less than 1 hour and everything was drilled perfectly. I couldn't be happier - and it arrived before Christmas too! If it weren't for the need to bang in the wheels at the end of the assembly process this would be a 5 star product. It is definitely the type of product that will last a lifetime fortunately we didn't break it when we had to push in the wheels! 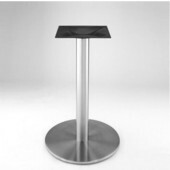 The product itself merits five stars based on the actual quality of the finished product, the solid design, clear assembly instructions, adequate spare bolts,materials, etc. However, the very last step in assembly was harder and took more physical effort than all the other steps combined. The instructions say to insert the casters into the legs until they "snap" into place. Yeah right. Even following the ominous advice that if the casters don't insert properly, to crimp the rings, didn't help at all. It took 45 minutes of muscle, sweat, and sore hands, plus risky prodding of the rings into the receptacles with a flat-head screwdriver, to get them all to seat properly. Fortunately no blood was spilled but this process was tough. To repeat, product is great, but to get through all the assembly, and then be stymied on the last step, created a lot of stress. 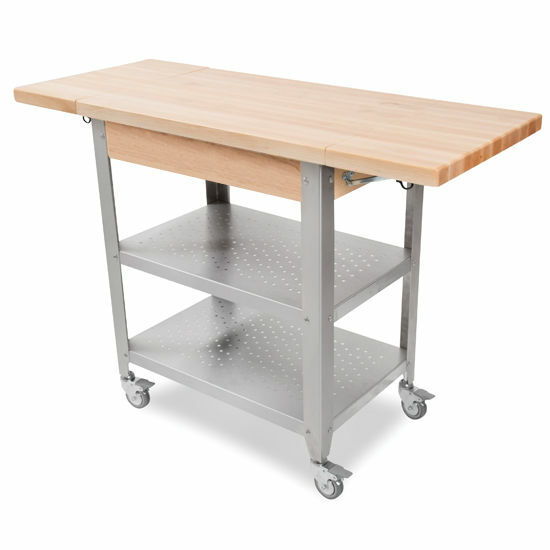 This kitchen island is both beautiful and functional and is a high quality product. It adds much needed counter space to our small kitchen and I have no regrets paying a little more for such a great piece of "kitchen furniture"! It is worth every penny!! We have two kitchens and a John Boos island like this in each one. 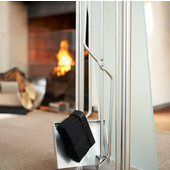 We love the fact that the sides can collapse making it very flexible for a variety of uses. 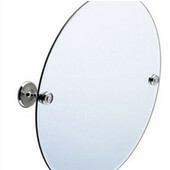 It is high quality material, solid, and very good looking. My husband put both of them together and while there are a lot of pieces, the instructions are pretty good and all the parts seem to fit together just fine unlike a lot of things you have to put together yourself. Didn't hear him swearing like he normally does when he has to put something together. We highly recommend this product. 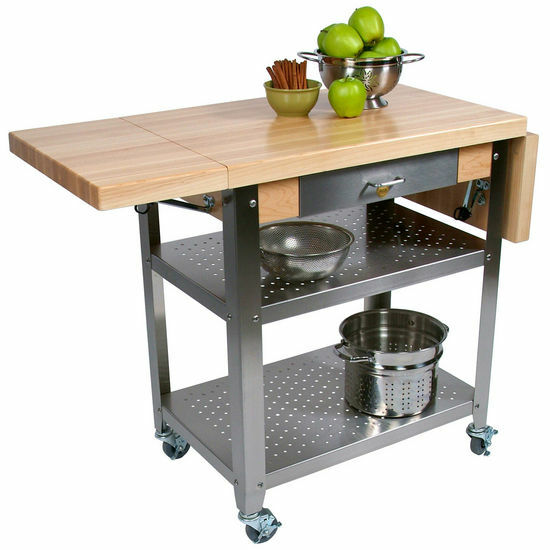 Well made good quality functional kitchen cart. We are delighted to have it. I would suggest ordering both leaves as you have extra space when needed and when you want a smaller footprint down they go. The instructions need considerable improvement 1) more details - think like a navigation system 2) recommend use of power tools 3) dry fit first and then use power tools to tighten 4) cart is best assembled up side down. My husband is very handy so he put the cart together in less than 1 hour, but that is likely not the norm. Other then that we are delighted with our purchase. This is the perfect kitchen cart for our space. It is nicely made and was easy to assemble. We love having the option of popping of the end for extra area for serving. We would buy it again. My husband and I had it together in no time at all very easy directions except for level leaf instructions for the leave that was tricky but we figured it out. All in all it was the easiest thing we ever had to put together. 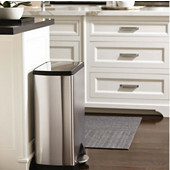 Its very well made and looks perfect in our beach house kitchen. Thank you so much. This island/cart/buffet is beautiful and modern. 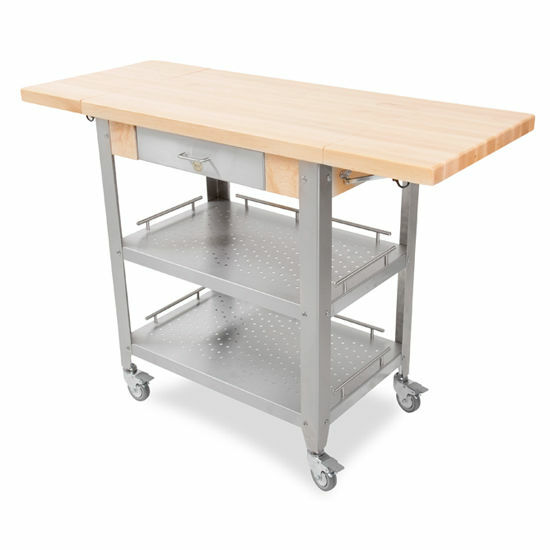 It is top quality from the butcher block top to the stainless steel body. It's versatility has been a very pleasant surprise. Because it's on wheels, I've used it as a working island in the middle of my kitchen, covered it with a tablecloth to use as a buffet for serving dinner, and as a eating area in kitchen. It is well worth the price. This island is high quality, efficient, and attractive. My husband and son put it together quickly and easily. 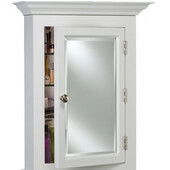 It is sturdy yet attractive and I have already received many compliments and have had it only a few weeks. The leaves easily fold up and down quickly. It was more pricey than I would have paid, but the husband picked it out for me and was so proud of himself. Very happy with the purchase. Would Recommend in a heartbeat. Assembly, design and material are first rate. Very functional and could not of asked for more. However, the instructions could have been better in reference to the side extensions and their leveling devices. I'm very happy with my chop block. Fits just right in my kitchen. Went together just fine. This cart is great! I love the quality, the space the shelves and drawer. It adds just what I need to make my kitchen function properly. I got the two drop leafs and that makes for great size adjustments. Highly recommended. Beautiful but assembly very difficult. It is very nice but the drawer was installed poorly and was not only crooked but impossible to open and close and required major disassembly to correct the problem as the drawer would not come out. I called Boos Co. and was informed the drawer is not meant to come out at all. I considered sending it back but with help was able to get the drawer fixed. This is either a quality control problem or a packing problem if it occurred during shipping. a little pricey, but excellent product. very satisfied. 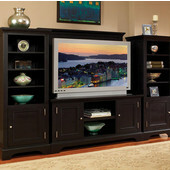 This is a great looking piece of furniture. I have the two leaf version. The maple wood looks great and wheels work flawlessly even on my special uneven surface tiles. 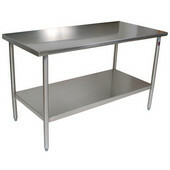 I use it as a kitchen island, serving card and a bar -depending on situation. It is very practical. Once assembled, it looks great. The reasons I did not gave five stars are : 1. The instructions for assembly are not visual enough -specifically for the attachment of leaf support joints. 2. It says all holes are predrilled -it was not true -the holes for leaf support attachment were predrilled only on the leaf but not on the side of the big main wood board.3. There should be a picture on their web showing how much exactly can the leafs fold down. 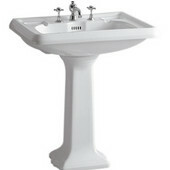 They hang down in a little angle (they do not fold straight down in the right angle to surface) so do not count on it to have it parked somewhere flush with other furniture. Since I have solved these issues very quickly I give it 4 stars -could give even 4 1/2 if possible for overall great appearance a quality product. This is a hugely practical cart - incredibly well designed and made. Recommend it highly. Easy assembly. Quality product. Beautiful! Cart is as advertised. 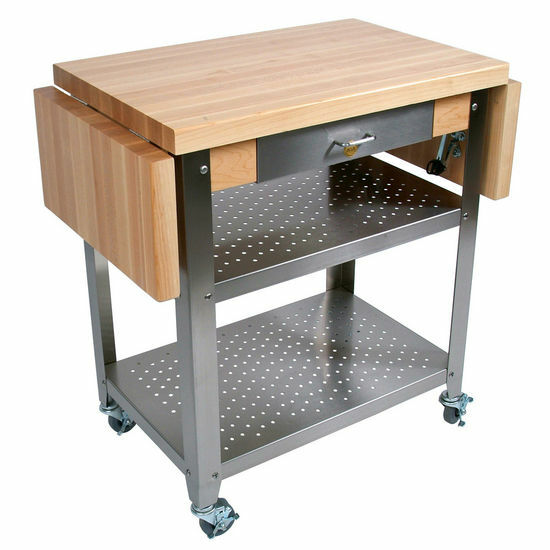 Very solid construction, commercial casters make moving around kitchen as easy opening a drawer. 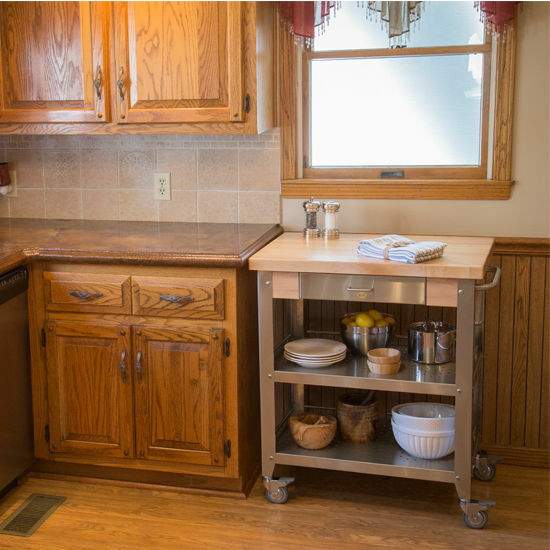 The cart easily rolls out of the way when not in use yet adds substantial prep area in seconds especially useful next to sink. 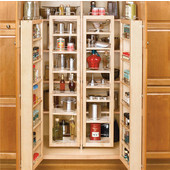 Looks great, commercial grade shelves hold cutting boards, colanders, etc.. Assembly should require cordless drill/driver for screws. Highly recommend this cart. As advertised. The quality is very apparent. Also, great customer service from Kitchensource. Love it! Fits perfect in the kitchen. Looks just like the picture. Pretty easy to assemble. Good for an island look in a smaller kitchen and great that the sides fold down and can be tucked out of the way. 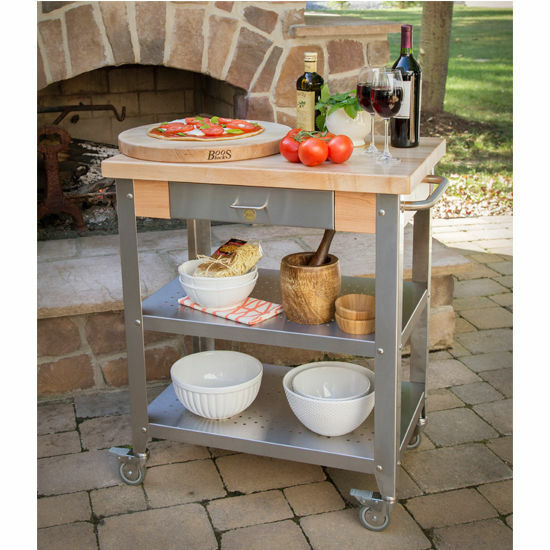 I have this cart and love it. Am just now ordering a second one. Un-beatible quality. 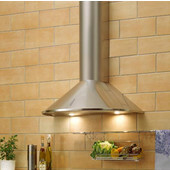 Bought the two extension panels and am glad I did for my kitchen which is galley style. 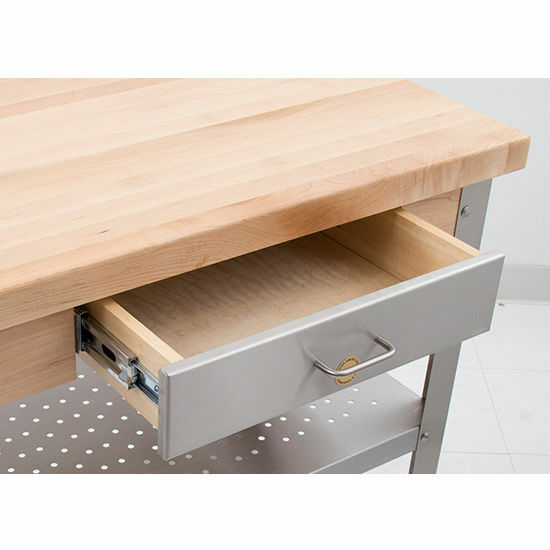 This fits perfectly in the galley with room to spare on each side for opening up doors, and really adds to my working counter space. 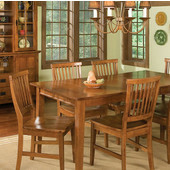 It is very good quality, heavy butcher block, and looks great. You may need some help putting this together as its a bit more than a one person operation. Couldn't be more pleased with the end result, though. Forgot to say that I got both leafs and pretty much keep them locked and loaded. Provides so much space and not a lot of width. Really recommend getting both--and they swing up and lock seamlessly with enormous tension and stability. I love, love, love it! Mine arrived in flawless condition, not too difficult to put together if you've got a guy around to help lift it up (butcher block is super heavy). I'd intended to keep it rolled to the side until needed, but am using it as a gorgeous island adding touch of warmth in my stainless steel kitchen. So sturdy, a joy to cut on. It was just what we expected. Very sturdy. I love my kitchen cart. I have the one with two leaves. I open it when I have a large gathering. The top wipes up very nicely. It also give me that little extra storage. 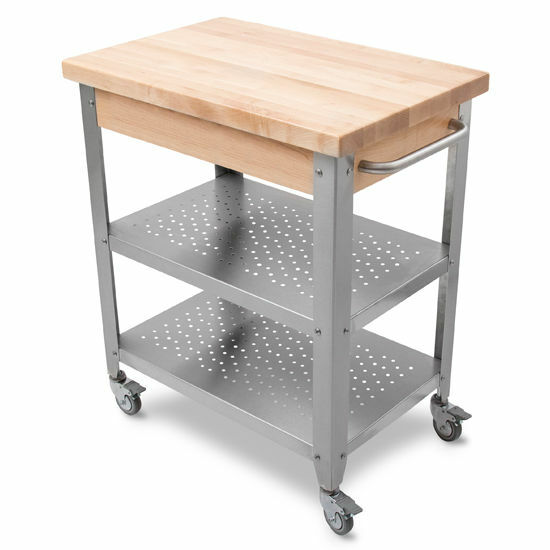 When I first assembled the cart, we noticed a defect on the stainless steel shelf, Kitchensource promptly replaced the shelf. A good company to deal with. Unfortunately John Boos will not modify the cart tops to a different finish. 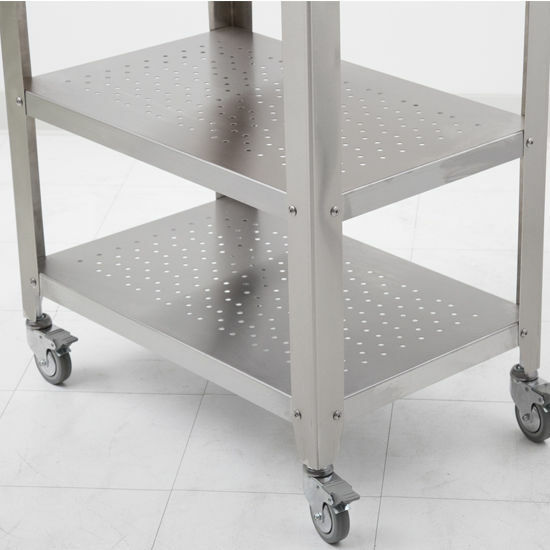 This cart has a varnique finish which is a semi-gloss finish formulated to repel most household solvents, such as detergents, alcohol etc. Varnique finish tables are not appropriate for cutting on it. All 4 of the casters come with a lockable option. 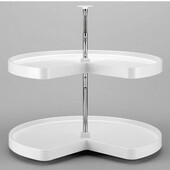 Each shelf on the Elegante has a clearance of 10-3/8". There is 10-3/8" between each shelf, and 1-1/2" space from bottom of first shelf to casters, and total of 6-1/8" space from bottom of first shelf to the floor. There's 30" width clearance on each shelf for the CUCE50, but unfortunately the shelves are not weight tested. They should be able to hold a mixer. 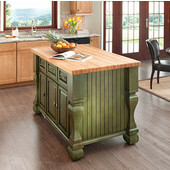 The walnut version - which can be found at https://www.kitchensource.com/kitchen-islands/jb-wal-cuce30.htm - is only available in the 30" width with no drop leaves. The lead time on these items are approximately 3 weeks + Transit time. The cart isn't meant to remove the casters. You can remove the casters, but there's nothing else to put in place of the casters, and the legs are a little angled at the bottom, so it won't be as supported without the casters. You would not be able to chop directly on this top as it is varnique finish, and that would create scratches on the top. You can only chop directly on an oil finish. 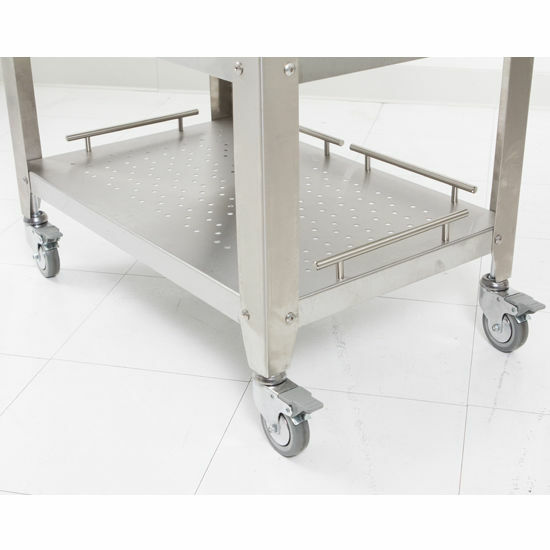 The locking casters are stable, but they are not weight rated. The drop leaf does hold 70 lbs evenly distributed. The width of the table when the dropleaf is down is 30��. 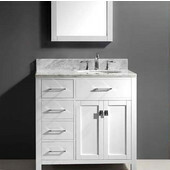 The double drop leaf model does not include the Towel Bar because there is no space for it however, CUCE30 and CUCE40 come with a Towel Bar. Yes, if this item is ordered with the left side drop leaf, it will automatically come with the towel bar on the right side. on the casters however, the seam where the plastic/rubber is joined can be smoothed out really easily if needed and they do recommend looking closely at the casters and if the seam has a ridge on it then, take some sand paper and smooth it out.